We wanted to share a couple of updates in regard to our work with BIBA – The British Insurance Brokers’ Association! 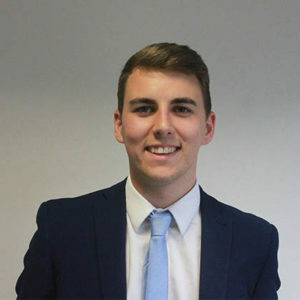 Congratulations to Kyle Tompkins from our Corporate Broking Team who has been successful in progressing through to the finals of the 2019 BIBA Young Broker of the Year Award! This award recognises young brokers for their excellent work performance including ethics, professionalism and commitment to broking and aims to encourage commitment to the future professionalism of the insurance industry – and this is not BHIB’s first time with an employee as a finalist. In 2018, Luke Perkins, who was recently promoted to a Partnerships Development Manager, made it to the final round. The finalists have an assessment day on April 9th, and the winner will be announced on Thursday 16th May 2019 at the BIBA conference. Good luck to Kyle! 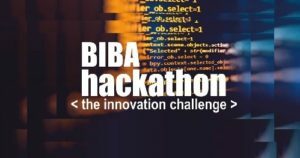 In 2018, BIBA hosted the inaugural BIBA hackathon, when eight teams from across insurance and tech backgrounds worked against the clock to find solutions to some of the biggest challenges facing insurance brokers today. 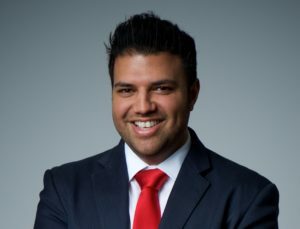 After being part of the winning team at last year’s event alongside other BHL team members, Ajay Mistry, our Partnerships Director, has been invited back to mentor this year’s event in Manchester. Ajay will be assigned a team, competing with other mentors from other organisations such as Travelers, BMS Group, Ecclesiastical, Lloyds, Grow Native, Zurich and C-Quence to mentor a team to victory for the 2nd annual Hackathon. The event will be held on the 15th and 16th of May at the BIBA Conference in Manchester. BIBA is The British Insurance Brokers’ Association and is the UK’s leading general insurance intermediary organisation representing the interests of insurance brokers, intermediaries and their customers – the current membership stands at 2,000 regulated firms. Each year, BIBA hosts a national conference in May and this year’s theme is ‘Leading the Way’, after last year’s focus on Innovation. Are you involved with BIBA this year? We’d love to hear from you. Please contact Katie Ford for more information.